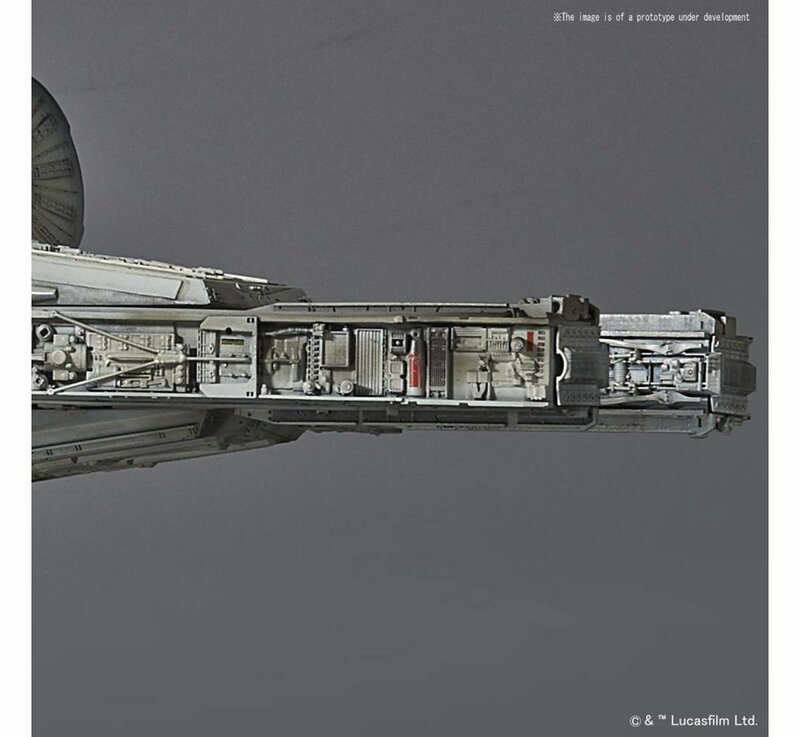 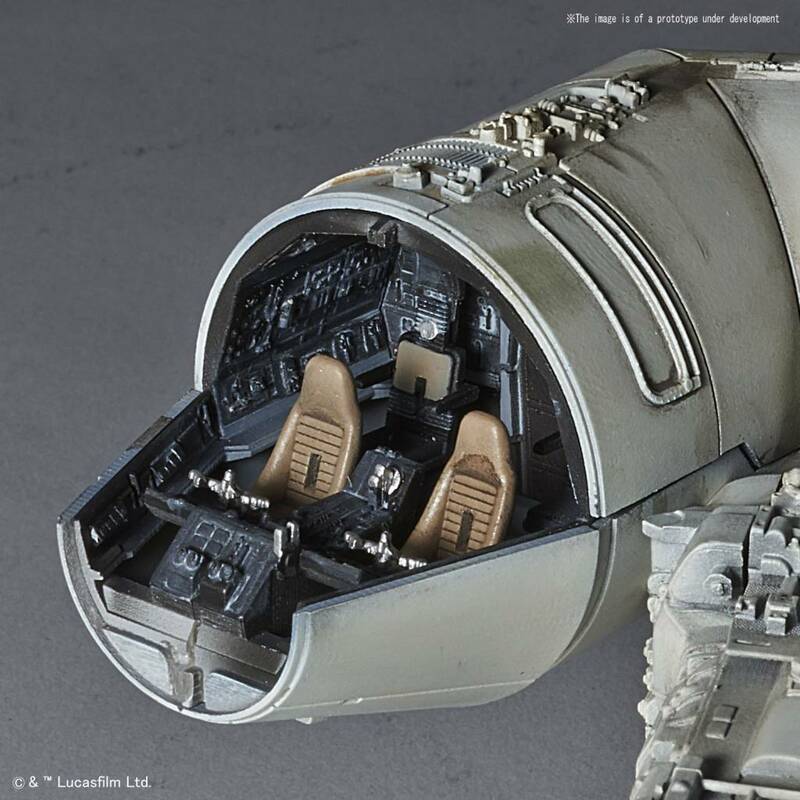 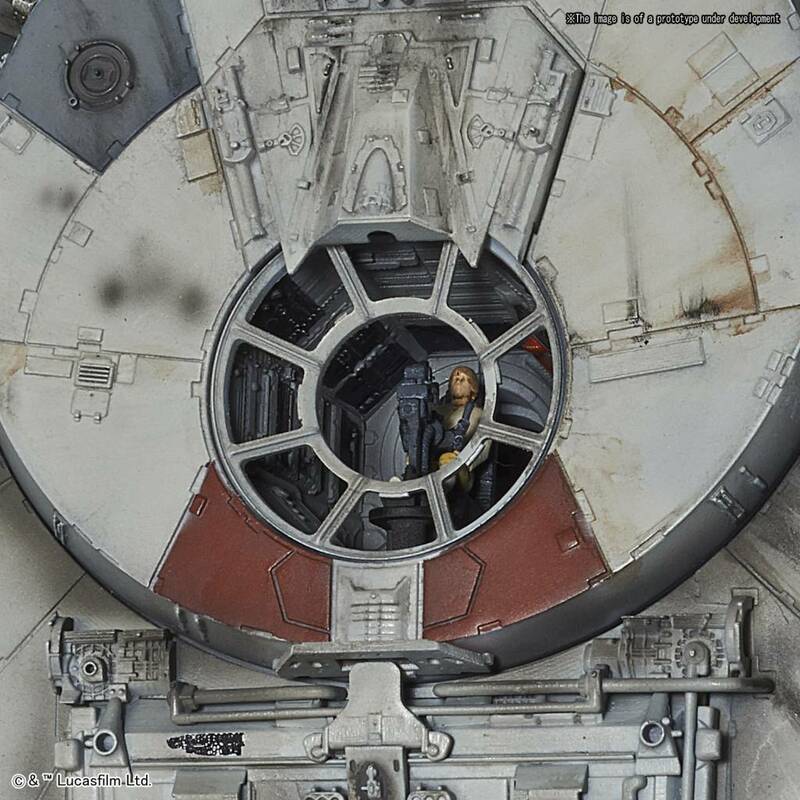 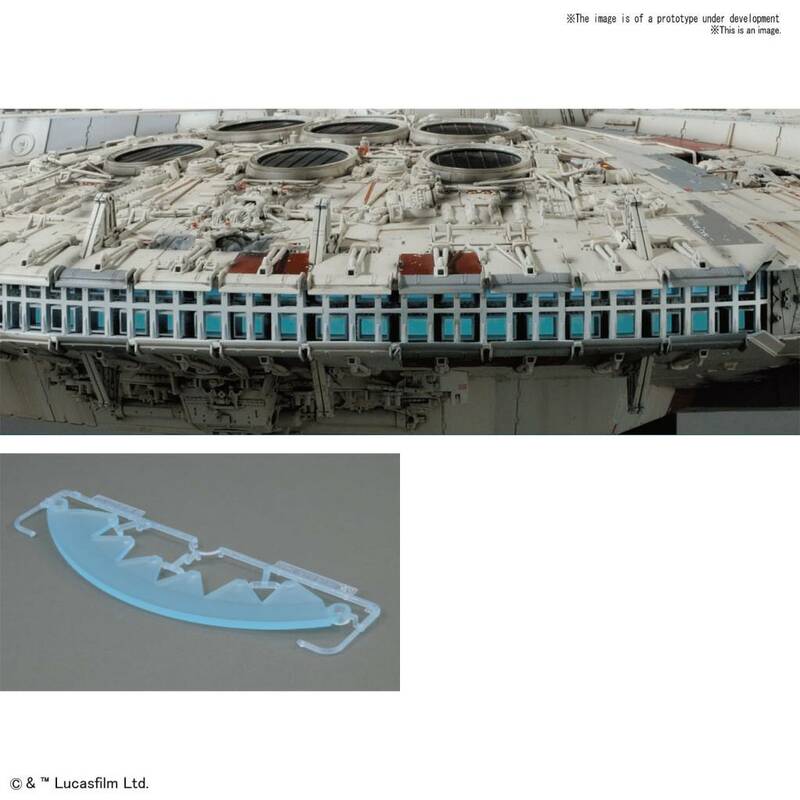 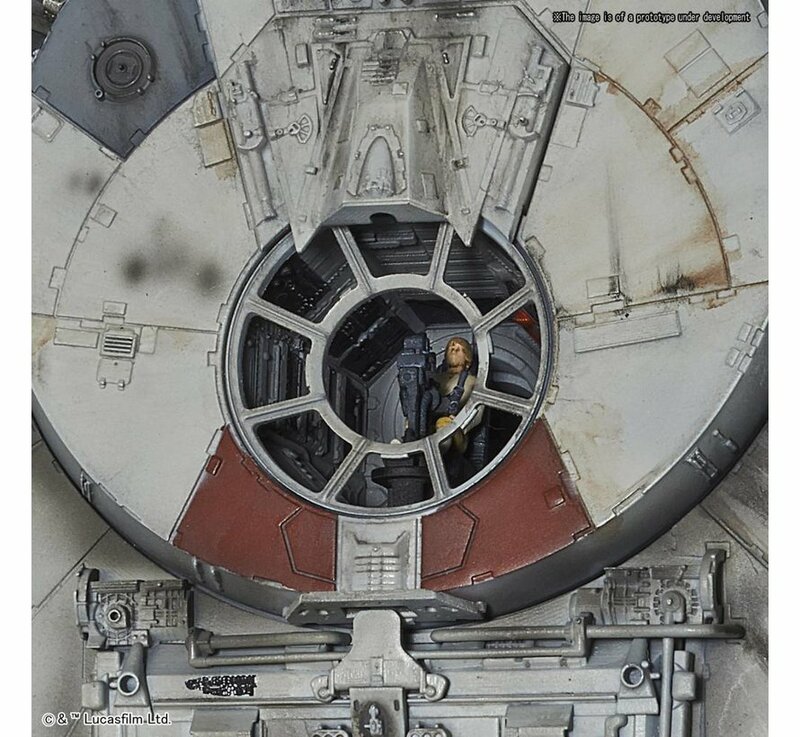 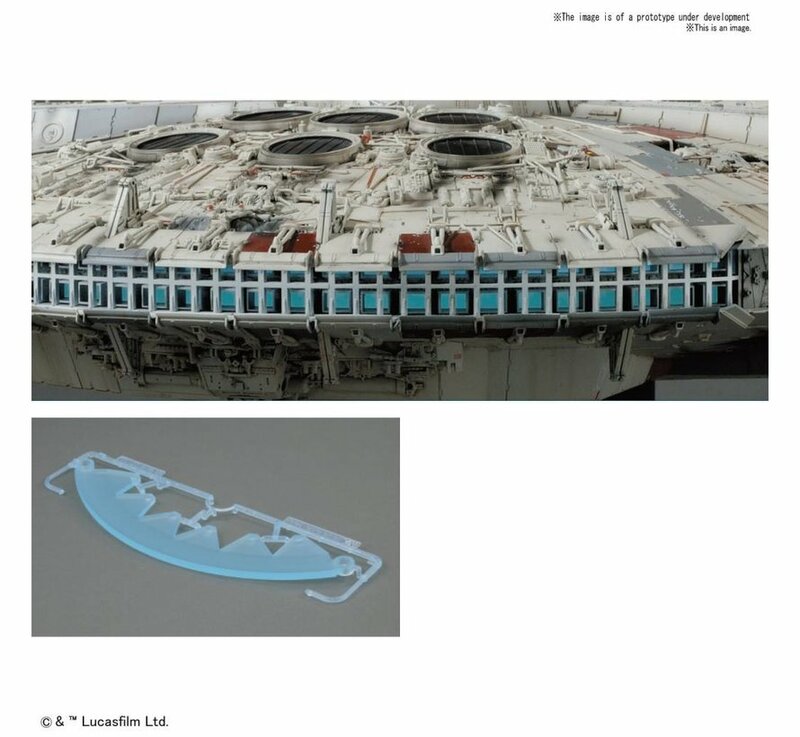 This release of the PG Falcon features stickers instead of water slides to decorate the various hull panels and a translucent light blue clear part in place of the LED system to simulate the color of the Sublight engine propulsion systems of the Falcon as seen in the digitally remastered releases of "Star Wars." 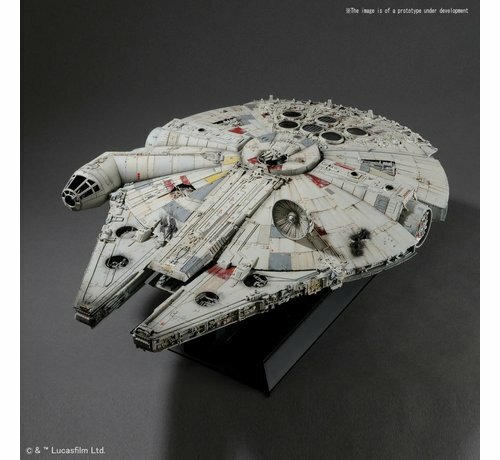 Created through thousands of hours studying the studio model used to film "Star Wars: A New Hope”, it is the most accurate version ever to be released. 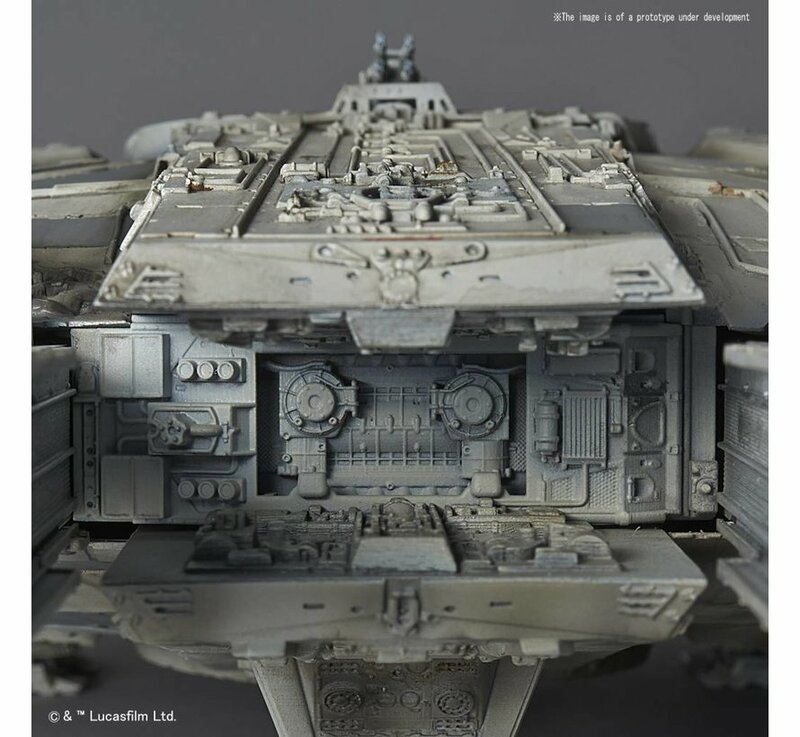 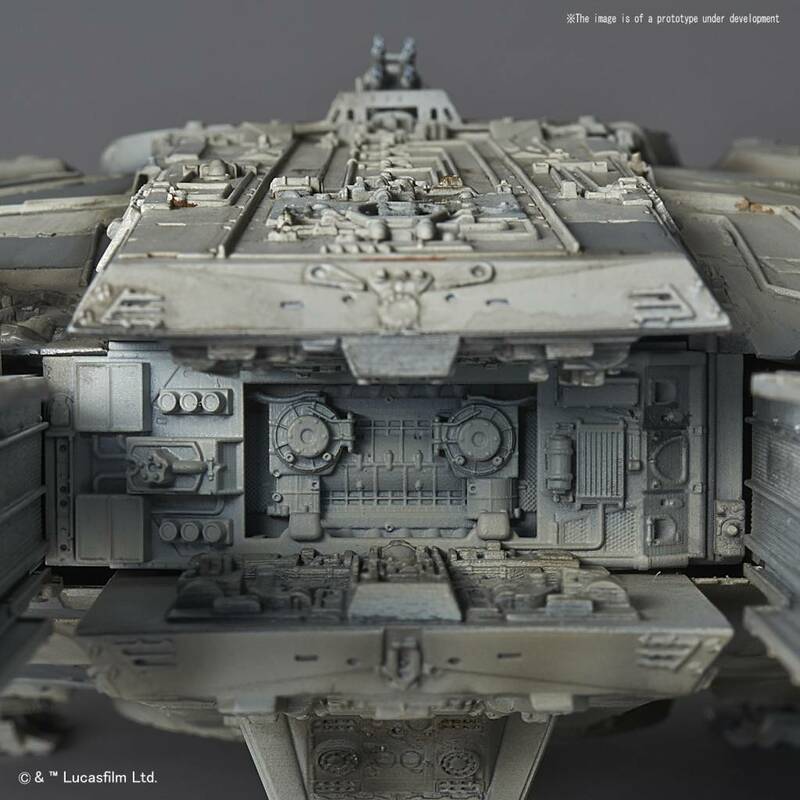 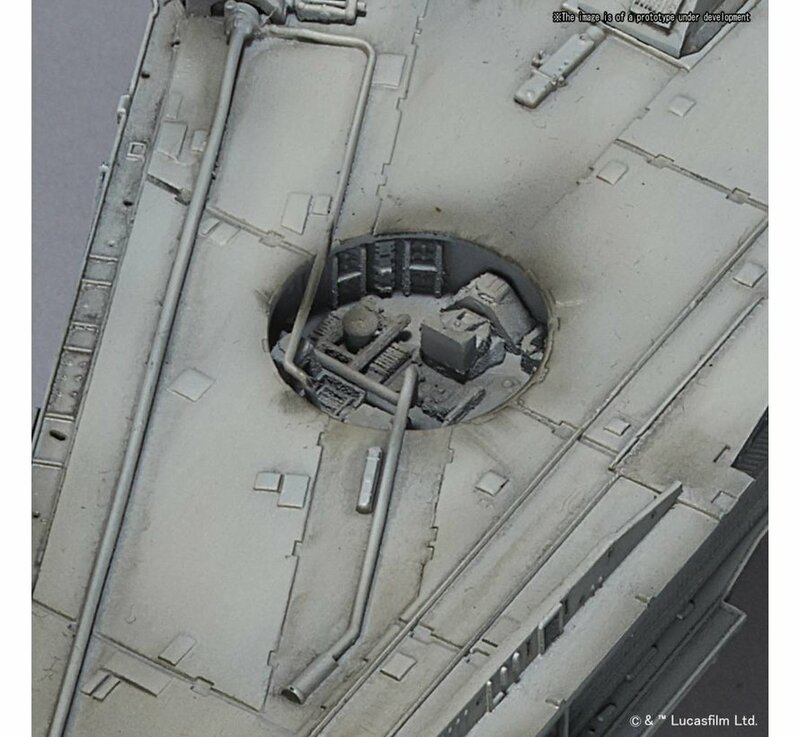 Using Bandai's color injection technology, the kit has been engineered to even have its hull damage molded into the parts while still being snap together and requiring no glue. 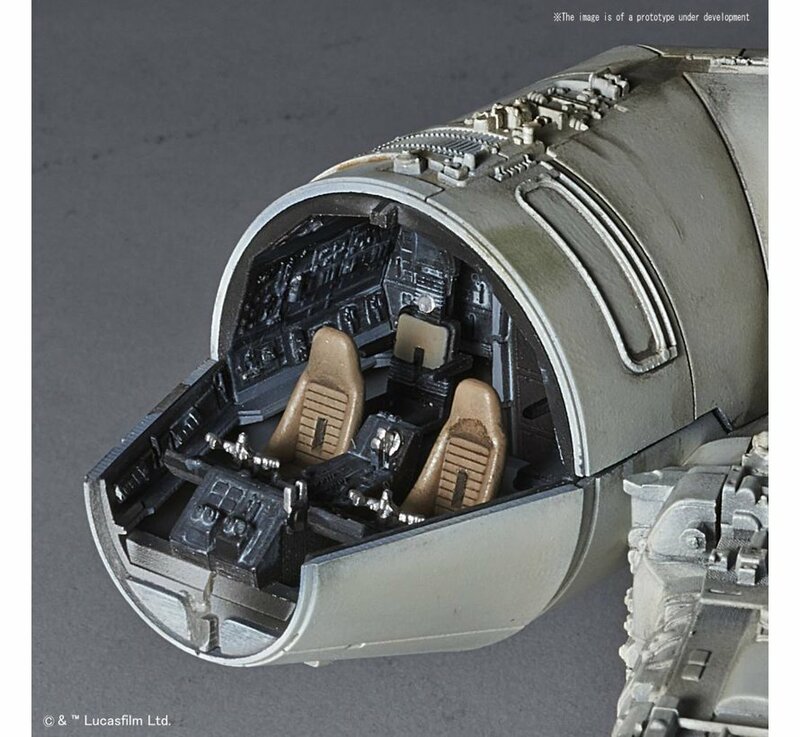 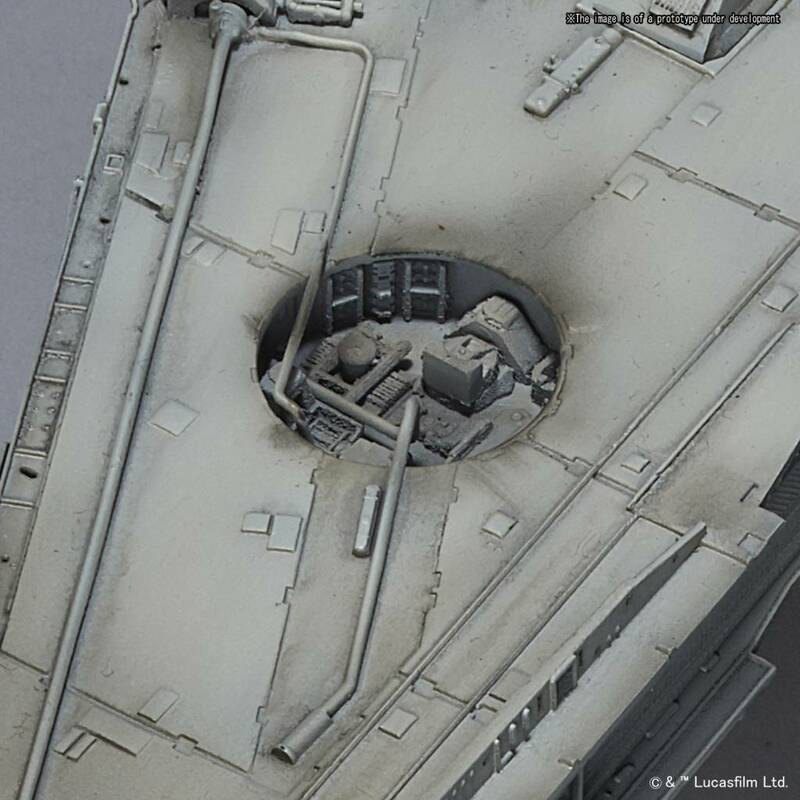 The model even creates inner details of the ship, ranging from the cockpit to the famous boarding ramp. 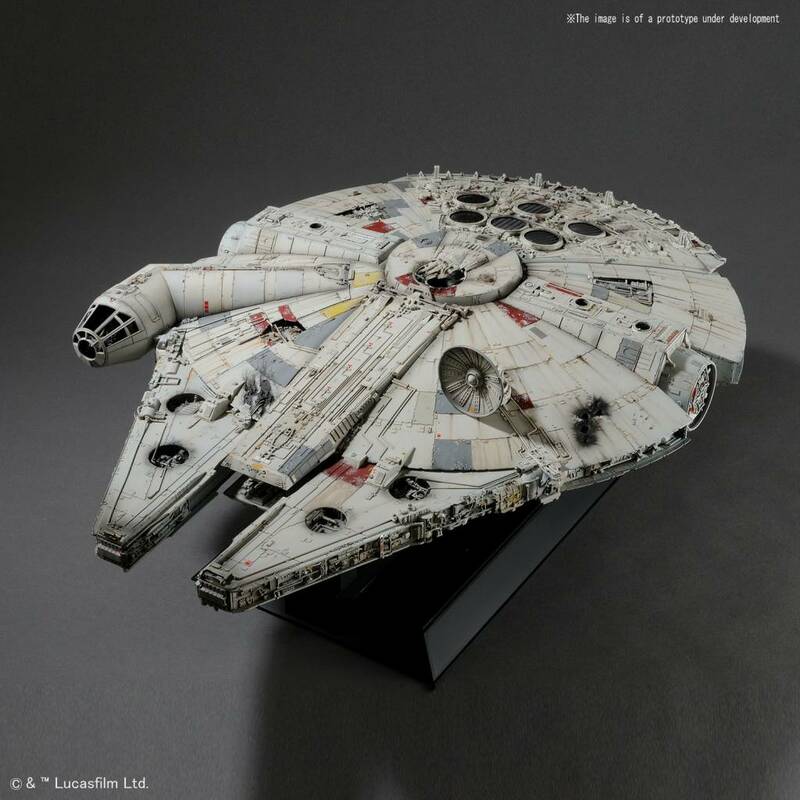 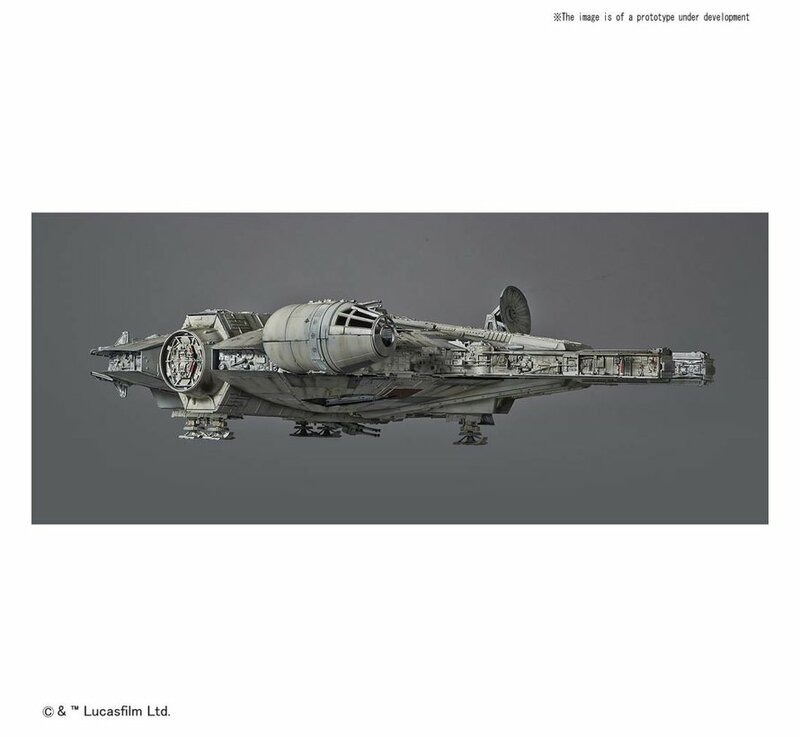 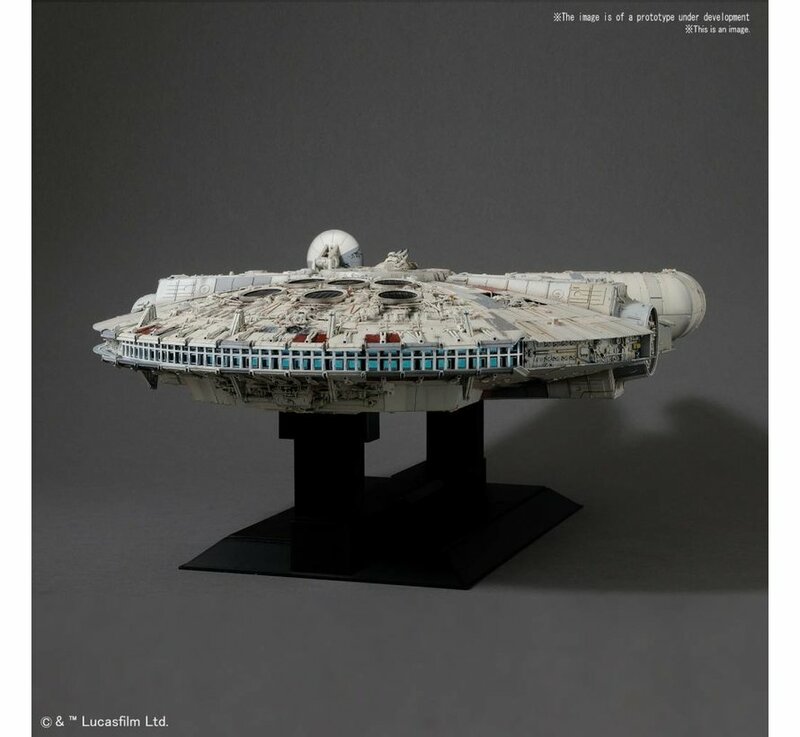 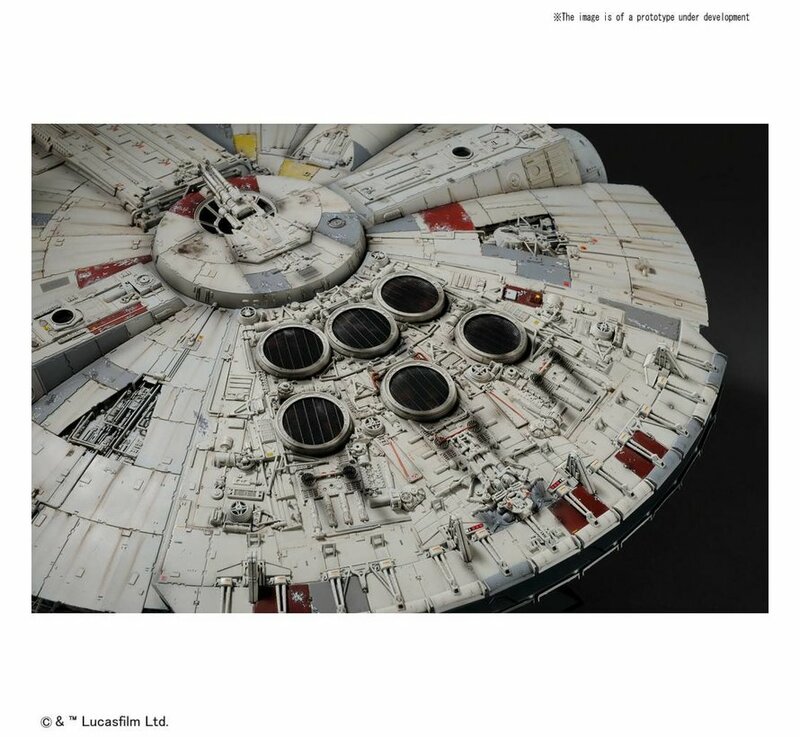 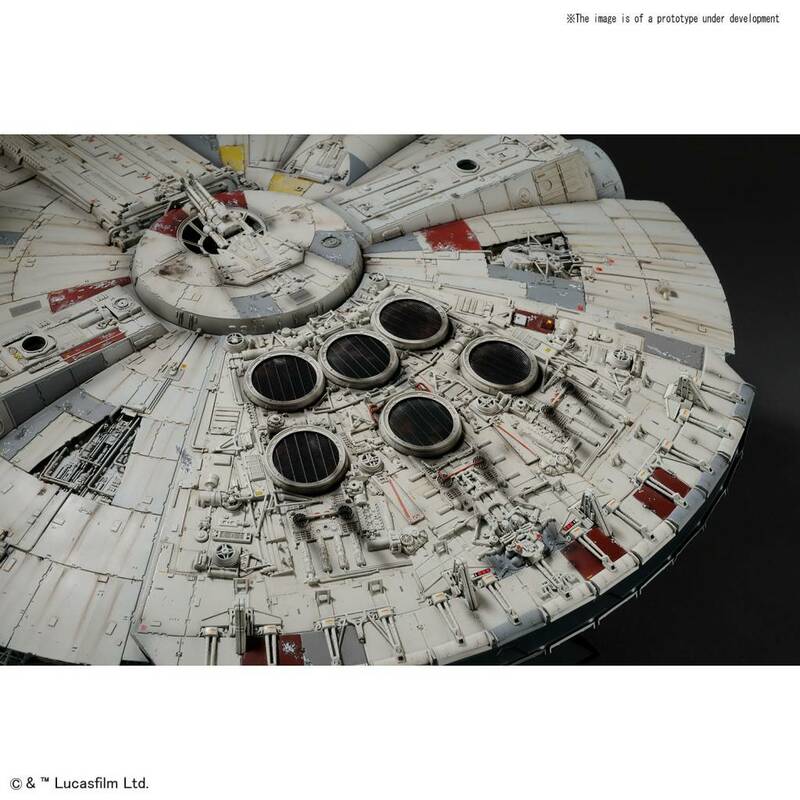 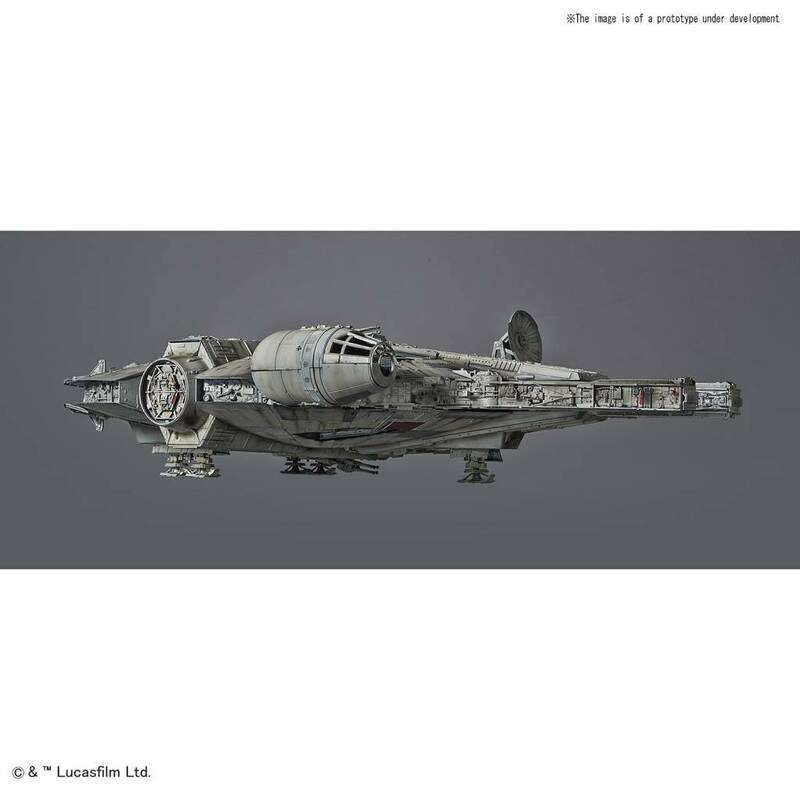 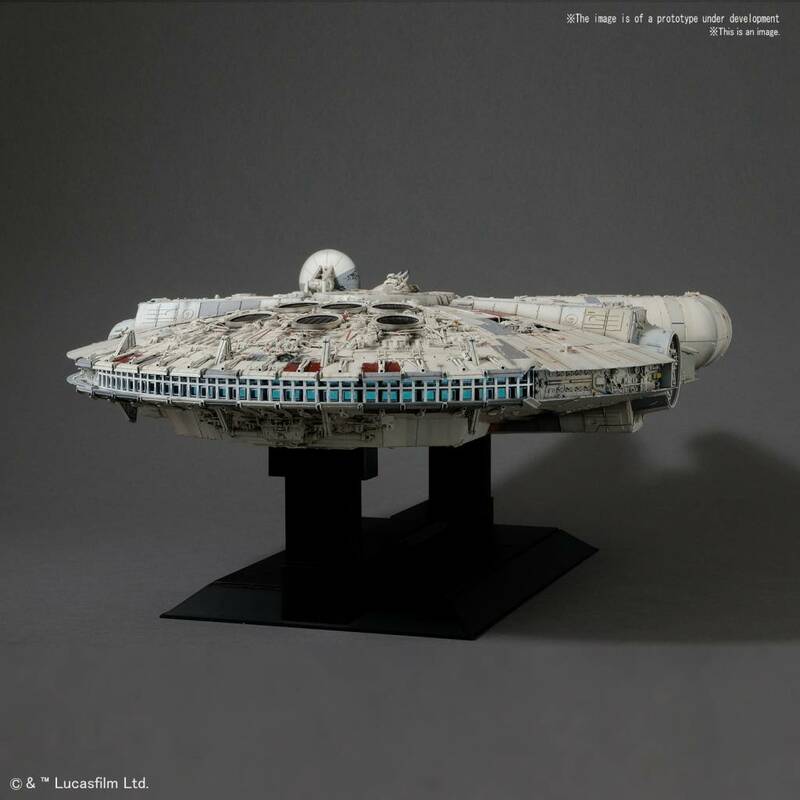 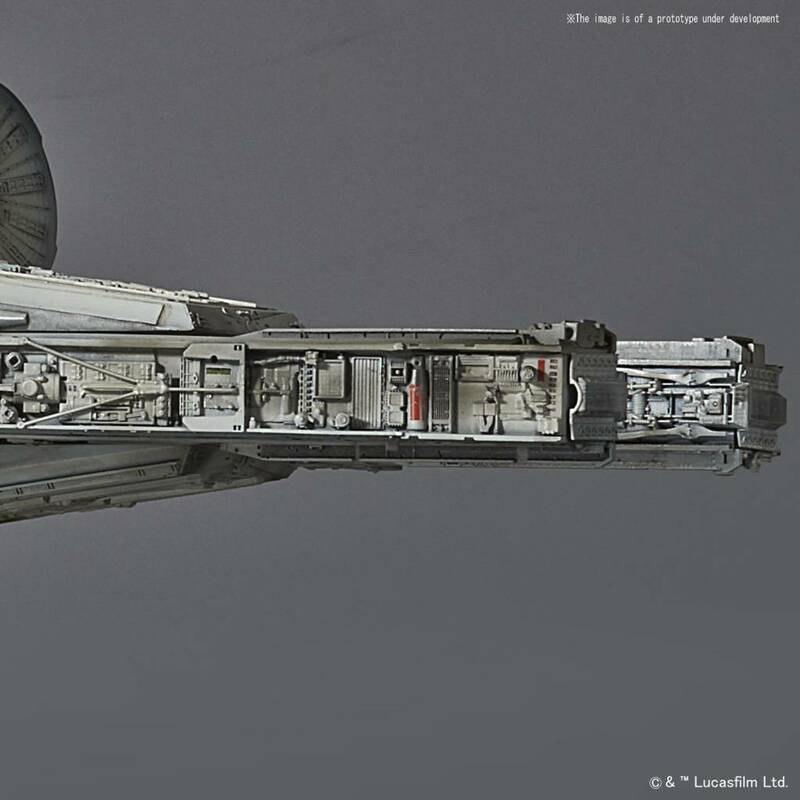 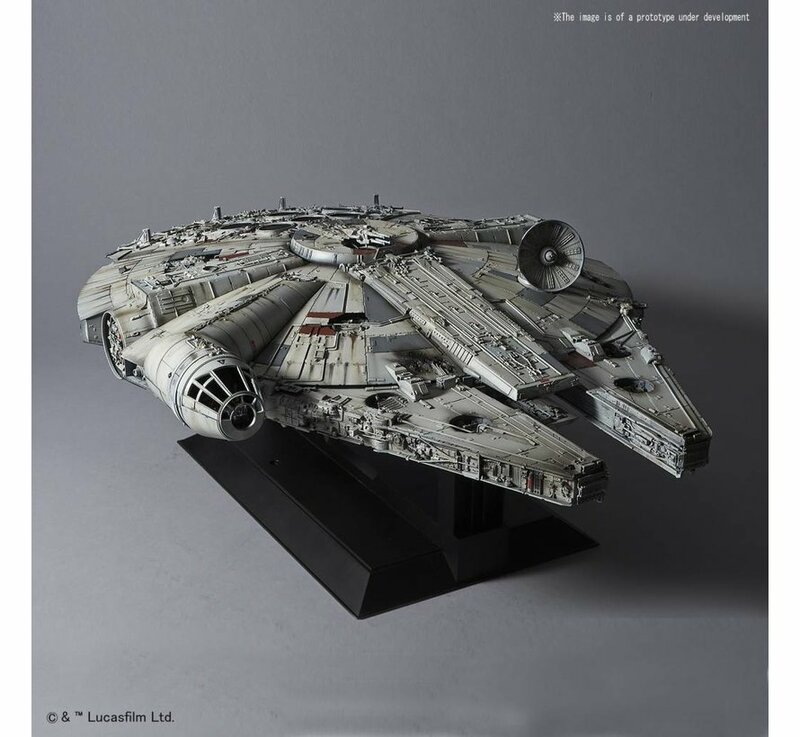 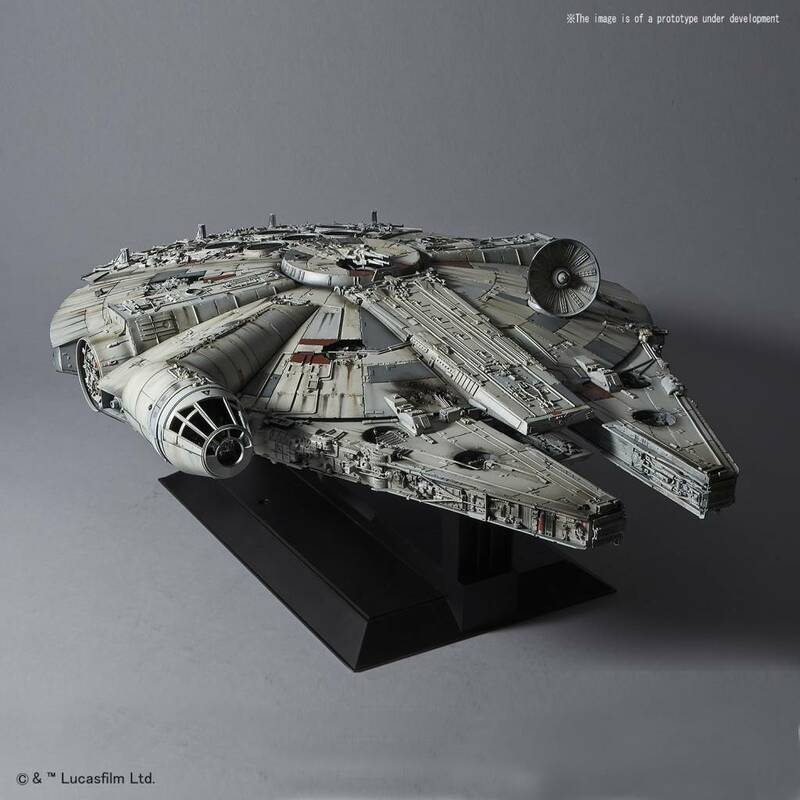 At 19" long this model stands out as the ultimate Millennium Falcon model kit. 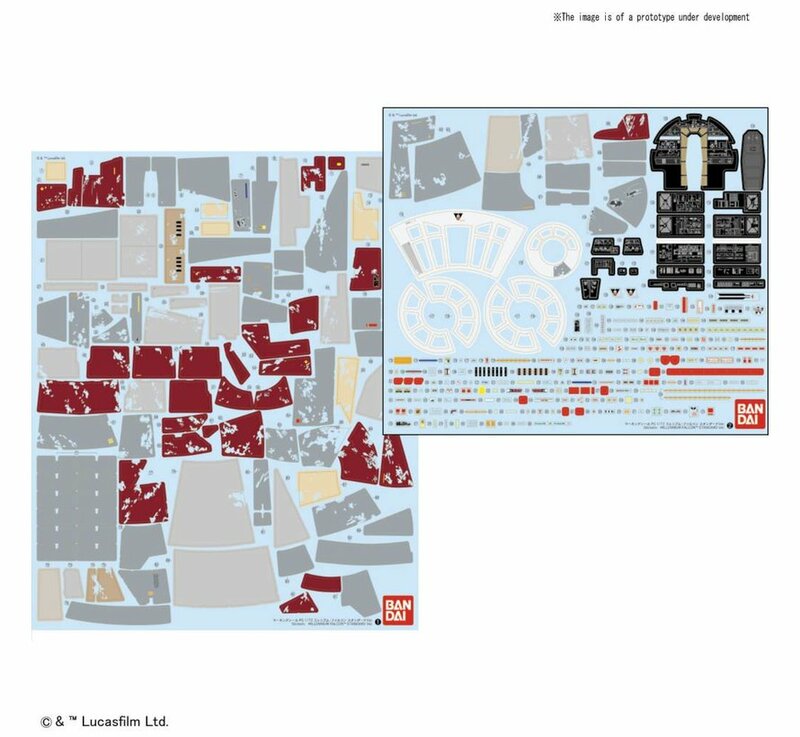 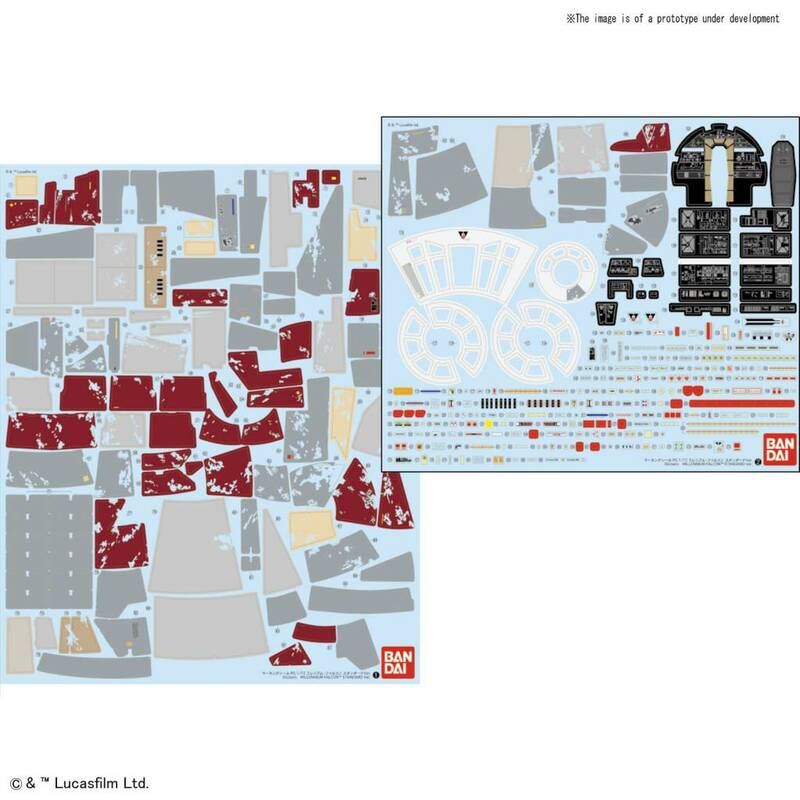 Set includes dedicated display base and seated figures of Han, Luke Chewbacca, Obi-wan, C-3P0, Princess Leia.